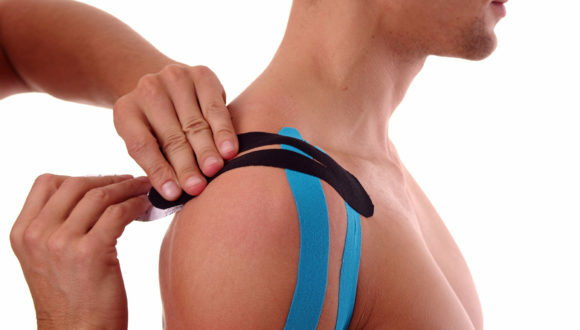 Taping is a therapeutic tool in Kinesiology and has become increasingly popular within the sporting arena. Taping has been used for a long time for the prevention and treatment of sporting injuries. Taping is not only used for sporting injuries but for a variety of other conditions. Facilitate normal movement, muscle action or postural patterns. if you are an amateur or professional athlete, or simply have muscle or joint aches, you might be a candidate for taping. Make sure to contact your professional to see if you can receive the benefits of taping and if taping is right for you. The physiotherapist will examine and evaluate if a taping method will work to your advantage. Mobilisation with Movement (MWM) developed by Brian Mulligan FNZSP (Hon) of New Zealand is recognised world wide in manual therapy approaches. His concept is the application of manually applied accessory joint glide with concomitant pain free active movement. During the development of MWMs Brian Mulligan discovered that treatment in some patients was enhanced when he utilised taping to compliment the directional forces provided after the MWM treatment bout. Taping is applied in directions that compliment the applied MWM passive force to a joint or soft tissue.